Our church is currently studying the book of Colossians. For seven weeks we're walking through the book and talking about living a brand new life in Jesus. For this series I volunteered to write the small group questions that go along with each sermon. It seemed like a waste to leave them in a file on my computer and not share them with everyone. Paul wrote the letter to the church in Colossae to combat false teaching that was sneaking into the church. So far, Paul has done a brilliant job at encouraging the church to live for Jesus, praying for the church, and explaining the greatness of Jesus. Paul has been so busy talking about the greatness of Jesus he’s barely said anything about himself. In this next section of Scripture that is all about to change. Paul addresses himself in multiple ways based on how he seems himself through the eyes of Jesus. 1) Paul begins this section by sharing about his sufferings for Jesus. Read about some of those sufferings here: Acts 21:30-32, 23:1-2, 27:39-41, and 2 Corinthians 11:23-29. Share about a time you suffered for Jesus and the gospel. 2) Paul regularly refers to himself as a servant of Jesus (read Colossians 1:25). Think about the duties and requirements of a servant. What is the goal of a servant to accomplish and how does one do so joyfully? 3) Paul longed to share the love of Jesus with the Gentiles (read Colossians 1:27). God has always longed for His Kingdom to be multiethnic (read Psalm 22:27 and Acts 11:18). In what ways can we continue to help Coastline be a multiethnic body of people following the truth of Jesus? 4) In Colossians 1:29 Paul talks about strenuously contending for the Gospel to advance. Neal reminded us that to strenuously contend is hard work. How are you strenuously contending for those in your circle of influence to grow in the love, truth, hope, and grace of Jesus? 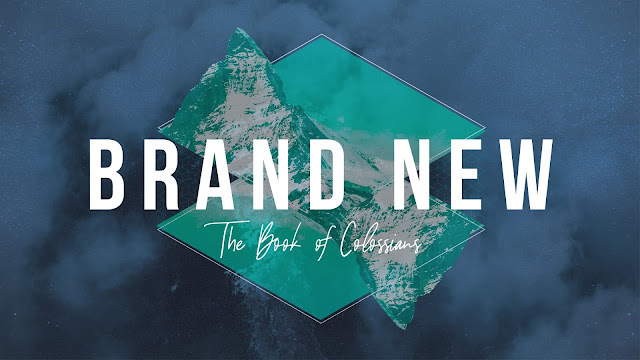 5) Paul wants the church in Colossae to be united in the love of Jesus (read Colossians 2:2). In addition he wants them to have the full riches of the mystery of Jesus. Why is it so important for them to be united in Christ? 6) Thinking about the importance of unity, where do you see Coastline united for the Gospel? How can you, personally and corporately, help to strengthen this unity to reach our city for Jesus? 7) Paul didn’t want them to be deceived, how does deception sneak in a church?